The One in the Middle is the Green Kangaroo is another of Judy Blume’s popular read-alouds for children and their families. 7Sisters Literature Activity Guide for is a fabulous family read-aloud that guides younger elementary students through developmentally-appropriate phonics and comprehension skills. 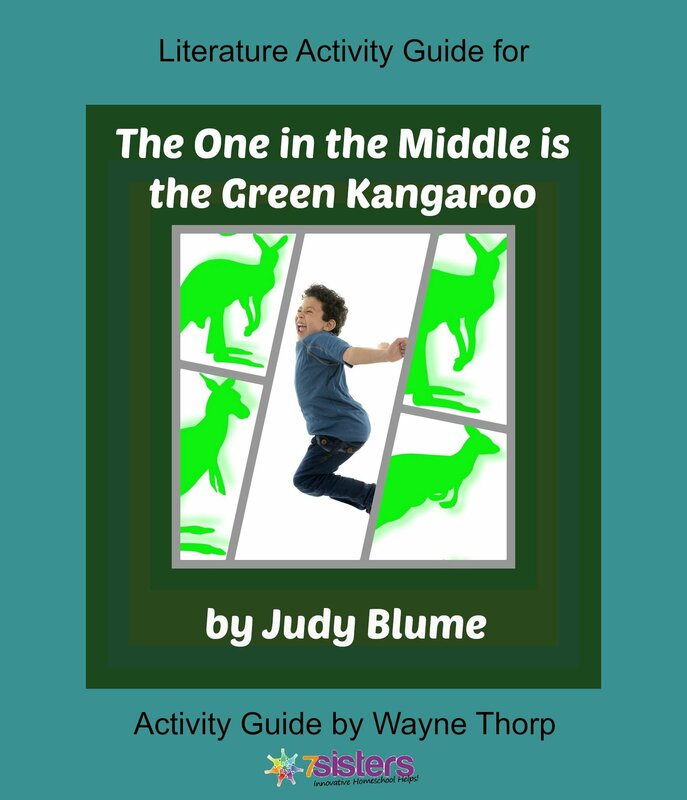 Elementary Literature Activity Guide for The One in the Middle is the Green Kangaroo is designed to teach and/or reinforce necessary skills for students who are in the process of learning to read. Each 7Sisters activity guide helps young readers practice individual skills while maintaining an appreciation of the literature. Good readers love reading! Synopsis: Freddy Dissel is stuck as the middle child in his family, and he doesn’t like it very much. What can he do that’s special. He gets a part in the school play. Can he get attention as the Green Kangaroo? Comprehension skills: Drawing Conclusions, Before & After Sequencing, plus a Bonus Skill! 7Sisters’ Elementary Activity Guides are by Wayne Thorp, a veteran elementary school teacher with over thirty years experience teaching grades one through three. He is the father of three K-12 home schooled children (now grown).